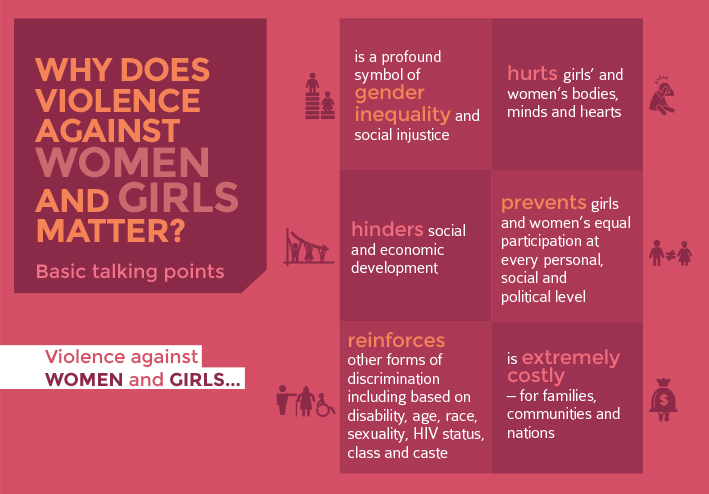 Violence against women (VAW) is a global problem. According to global prevalence data, physical and/or sexual intimate partner (IPV) violence affects 1 in 3 women and the health impacts of violence are substantial. 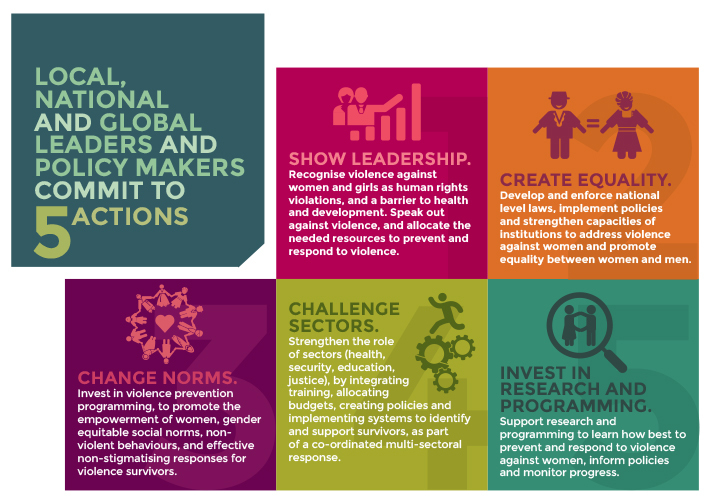 Violence is preventable: Research shows that several multi-component interventions achieve substantial reductions in the levels of IPV over programmatic timeframes. Violence prevention programmes – especially in low and middle income countries – address attitudes, norms, beliefs, stigmatisation and dominant notions of masculinity. Political leadership and governmental investment are essential to reducing violence: Governments should take leadership in promoting change and supporting a co-ordinated, national response. The post-2015 Development Goal on Gender Equality should include a target that monitors 12 month prevalence of IPV. The health sector – together with other sectors and with civil society – plays a critical role in both prevention and response to VAW and violence against children: Health ministries seek to eliminate stigmatising attitudes among providers, ensure training of health care providers to provide an effective response, and collaborate in community-based prevention efforts. Investments are needed to strengthen data collection: Research and evaluation of effective strategies for prevention of and response to all forms of VAW and need to pay particular attention to girls.